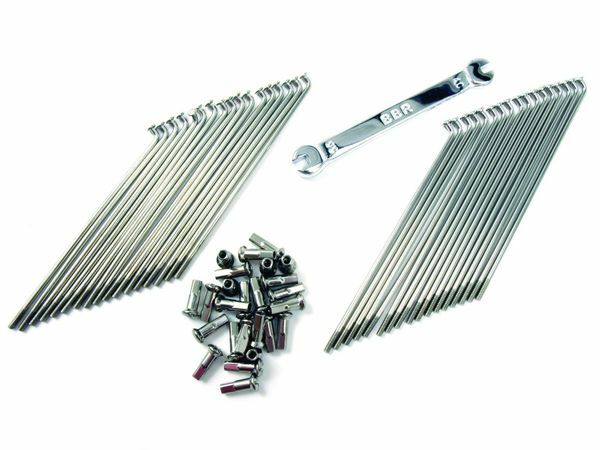 Super-strong stainless steel spokes are a must have for the adults (and fast kids) riding the KLX/DRZ110. For use with standard and aluminum rims. Works with 14" rim and stock hub. NEW!! FREE UPS GROUND SHIPPING IN THE LOWER 48 STATES ON ORDERS OVER $99.99 UPS Does NOT ship ground to P.O. Boxes. EXCLUDES Alaska & Hawaii Sorry! TIRES ARE EXCLUDED FROM FREE SHIPPING! 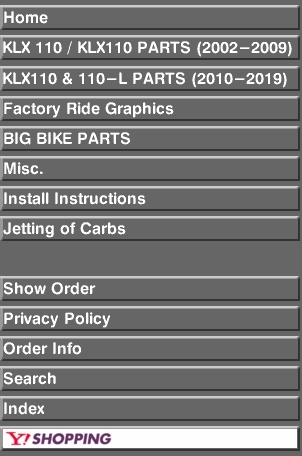 All contents copyright © 2006-2016 KLX110-PARTS.COM. All rights reserved.